Even while hyping up the recent release of the NEOGEO Mini, it seems like SNK’s developers are wondering if they should revive a timeless classic. In a review with Dualshockers, Yasuyuki Oda suddenly posed a hypothetical question about the future of the Metal Slug franchise. Namely, he asks fans if they would still like to keep the ‘one-hit-kill’ mechanic that made the arcade series so difficult. “If we rebooted Metal Slug in some way, would they [gamers] be happy with the same “one hit you die” mechanic? Do gamers today think we should put it out that way? While it has been years since a new Metal Slug game, maybe some development gears are already churning in the background! 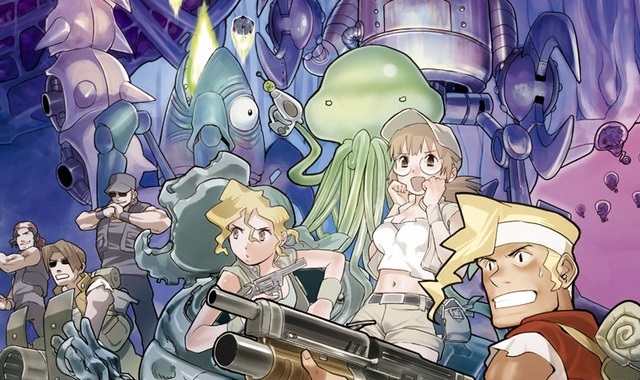 Metal Slug fans should try tweeting Oda-san their thoughts at @snk_oda! In the meantime, you can find the full interview here.